The country’s disciplinary inspectors were told Wednesday to pay particular attention to corruption involving food and drug safety that had the potential to seriously impact people’s lives. “We must focus on problems that elicit strong reactions from the people,” stated the communiqu of a three-day plenary session of the Communist Party of China’s top anti-corruption body that ended Wednesday. Other than food and drug safety, problems included those in environmental protection, land acquisition and work safety, the Central Commission for Discipline Inspection (CCDI) said in the paper. “Inspectors should seriously deal with collusions between officials and businessmen, and practices that abuse power for monetary gain,” it said. Late last month, procurators nationwide were also called to keep a close watch on corruption and the dereliction of duty behind major food safety incidents. “We should actively participate in the ongoing food and drug safety campaign and intervene appropriately in the investigation of incidents,” top procurator Cao Jianming told a national working conference on Dec 19. 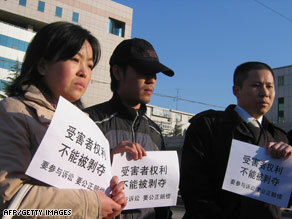 Cao’s remarks followed a series of food and drug safety incidents in the country in recent years. The most deadly one involved tainted baby formula from the Sanlu Group in September last year, in which at least six babies have died and more than 296,000 others have fallen sick. The case has so far brought down eight officials in Hebei province, where Sanlu is based, and caused the resignation of Li Changjiang, the country’s former quality inspection chief. 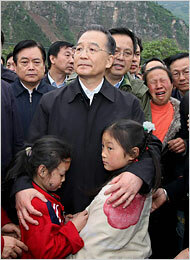 Zheng Xiaoyu, former head of the State Food and Drug Administration, was even executed in 2007 for taking bribes and dereliction of duty in the wake of a series of drug safety scandals. Corrupt or irresponsible officials are often behind such major incidents and the latest calls for action reflect how the Party and judicial organs are paying closer attention to the problems, analysts have said. “The call for closer supervision in this sector reflects the Party’s growing concern over the issues. It also shows how much the Party values the opinion of the people,” said Mao Shoulong, a professor of political science in Renmin University of China. The communiqu also asked inspectors to pay attention to overseas trips in government, after dozens of officials in Jiangxi and Zhejiang provinces were caught in November last year taking lavish vacations disguised as business trips to the United States and Canada on taxpayers’ money. “The budget for overseas trips taken by government officials should be cut, and the time they stay overseas should be strictly controlled,” the paper said. It also called for an end to the building of lavish government buildings and use of extravagant cars in government. At the CCDI’s plenary session on Tuesday, President Hu Jintao also asked officials at all levels to be industrious and thrifty to cope with the economic downturn. You are currently browsing the archives for the food safety category.